Una modificación actualizada del tanque de crucero Mk. III con blindaje mejorado. 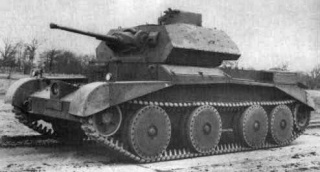 El Cruiser Mk. IV luchó en Francia en 1940 y en las primeras etapas de la campaña de África del Norte. Los vehículos de este tipo entraron en acción en el invierno de 1941-1942. Se produjeron en serie un total de 655 tanques. In game, this tank has excellent gun depression, superior even to the M4 Sherman. 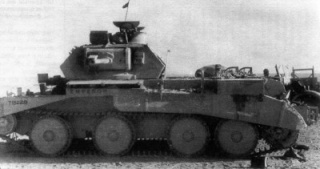 The QF 40 mm Mk. VI is very effective at its tier (126 average burst damage, 252 average clip damage), capable of crippling most tanks up to tier 4. 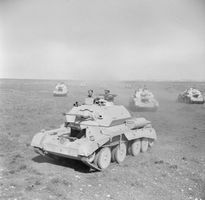 The QF Mk. VI gun fires its burst significantly slower than most other autocannons which can be somewhat disorienting, though the second shot is less prone to firing wildly off-course. Also, the QF auto-cannon has very unstable penetration, and will bounce many shots that you expect will penetrate, so make sure that you aim at the weak spots. Sniping is neglected by the relative inaccuracy of the 40mm Pom Pom, forcing the tank into Close Quarter Combat. It is recommended to upgrade the Pom Pom whenever possible. Equip the 40mm Pom Pom from the previous tank, and focus on the tracks and engine. Then focus on your turret and the QF 40mm Mk. VI. Finally, research the radio if you haven't already from the previous tank, or proceed to the A13 Coveanter.